It had been about eight years since we last visited Bath Race Course – in our pre-child days. The Family Fun Day during the Bath Cup Festival weekend seemed like a great idea to try out the two small people (age 5 and 7) with racing. The day certainly did exactly what it promised, providing fun for everyone. Upon entering the racecourse, our children made a beeline straight to the bright fun fair rides which included bungee trampolines, spin cars, house of fun, teacup rides, carrousels and face painting. And the best bit by miles for the children was that all the rides were unlimited for the whole duration of the race day and totally free. You’d think the queues would be enormous, but they weren’t. Some rides the children even managed to hop off and straight back on. Whilst they were being greatly entertained, with the children’s play area being go close to the grandstand, it gave the grown-ups some time to study the race day programme and have a few little flutters. There were seven live races, including the finals of the 188 BET Sprint and Stayers’ Series’. We had a good view of the race from the grandstand, and my boy was extra happy when the horse he chose to cheer (probably based on the jockeys colours!) came first! With all that fun fair activity and horse race cheering giving the children quite an appetite, we were also soon making out choice from the great variety of food and drink options. 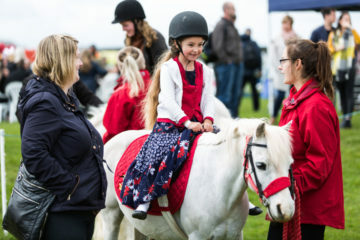 With the endless fun activities for children, the seven races and the food, out day at Bath Racecourse lasted from midday until the last race after 5pm. While an adult ticket for the event was £18, kids entered for free! The results was a brilliant day out that’s got us back to the races after years of thinking the children wouldn’t enjoy the venue! How wrong we were, and from now we’ll definitely keep our eyes peeled for future events there such as the Light Up Lansdown firework displays on 2 November.